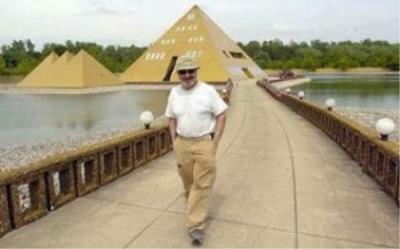 As the building came into completion and the pyramid form took shape something astonishing happen. The middle of the home started bubbling up with water and the spring water started entering the first floor (the bottom) of the pyramid. Astonished and confused, they scrapped the plans to have an indoor pool on the first floor of the pyramid and instead had to bring in experts to reroute the water to funnel it out of the pyramid home and into the surrounding area. Celebrities showed interest as well. Michael Jackson wanted to shoot a music video within this pyramid and Muhammad Ali offered to buy this golden pyramid because he wanted to turn this into a training facility. It’s an incredible story that really documents the power (and further potential power left undiscovered) of pyramids. In the last article I wrote about the Bosnian Pyramid of the sun and how the recorded negative ions under this pyramid were measured higher than any other place on the planet. One man named Ralph who was working on this Pyramid in Illinois drank the spring water everyday while working on the pyramid and he came back from his doctor reporting that his blood pressure was lower. Jim thought Ralph was crazy and told anyone that they could take the spring water to drink themselves and people did, and many claimed to feel better or to have certain ailments cured. This could all be the placebo effect (mind over matter) or there could be some validity as we now know that water is living and to charge water and for it to be alive has more health value. Spring water is already the best water you can get and for it to be positively charged (if it was in some way) then there could be potential there. So, what can pyramids potentially do for mankind? 3. Stone built pyramids (10’s of thousands of years old) have higher levels of negative ions which are great for health. 4. charge water to have more life force and healing power. 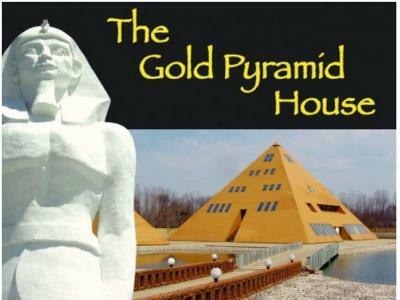 The story of Jim Onan and his family is incredible and I plan on visiting this pyramid one day in person to see it for myself, ask questions and get the full experience. 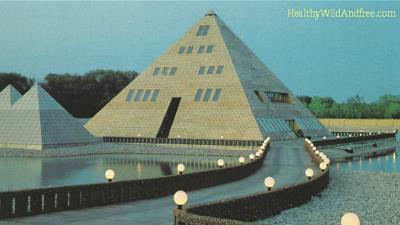 Thankfully they have now opened up the pyramid home as a tourism attraction and anyone can visit!